Aside reviewing to ascertain if the Investment is legit or not, we'll also talk about it's profitability because for sometime now we've heard several gurus tell investors it's not profitable and this scares away investors most times, so it's profitability is vital, afterall we do business to make profit right? Goodnews, We've got a 3% discount code for you. Meaning you'll get 3% off your next purchase of hash power, So here it comes, hope you'll love it. Register Here and apply this discount code for your next purchase. Genesis Mining is a bitcoin and Altcoins cloud mining provider that has been in operation online since 2013 and has been paying till now 2017 (That's 4years or more in the industry). 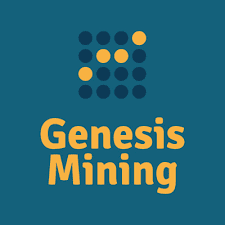 Genesis Mining was founded at the end of 2013. The founders of our world-class cryptocurrency company got to know each other by using the same platform for buying and selling Bitcoins. As our cryptocurrency mining company and its user base grew, new mining farms were built up and several additional people hired, specifically programmers and engineers. For the record, the company has over half a million (500,000) investors, that's a great thing to be proud about. Genesis Mining is an easy and safe way to purchase hashpower without having to deal with complex hardware and software setup. Genesis Mining specializes in building the most efficient and reliable mining rigs that can be rented. Plus, they have experts for cooling and maintaining data centers. I believe One of the things that have contributed to the success of genesis mining is knowledge and experience. The company always has a plethora of programmers and engineers with which it can boast with. Many hardware developers also come to them for partnership and that has always helped it to remain in business even when times are hard. Marco Streng, Jakov Dolic, and Stefan Schindler are all among the people at the helm of the company’s affairs. These are not fake names as you can see on the site that their pictures and contact information are all provided. Some of these directors are mathematicians while some are successful entrepreneurs in different walks of life. Genesis Mining offers you a smart and easy way to invest your money. Our bitcoin mining system is suitable for those who are new to the world of crypto currencies, as well as for cryptocurrency experts and large-scale investors. Genesis Mining is the World’s first large scale multi-algorithm cloud mining service offering an alternative to those who would like to engage in Bitcoin and altcoin mining. We are a team of experts in the digital currency sector, and our bitcoin mining algorithm is designed to provide the most efficient and reliable bitcoin mining rentals. Is Mining With Genesis Mining Profitable? The answer is a YES, but This largely depends on the plan you choose, the higher your investment the better your chances of making more profit. usually i advice you invest nothing less than a thousand dollars if you have it. Aside that make an investment of upto $200 if you can. According to genesis mining "No matter which package you choose, you are renting the latest technology, which guarantees profitability for as long as possible. Also, the rigs you rent consume very cheap electricity and are cooled efficiently, thanks to the optimal locations of our farms. To top this, there is no waiting for delivery and no downtime, which means you are not wasting even a second of mining. Time is valuable, but it is more valuable on the Bitcoin market.."
So talking on the longterm, the smaller your investment, you can easily make lesser profits so invest at least a tangible amount you can afford. From my experience genesis mining pays between 8% - 20% monthly on your invested funds. This may sound "out of place" to some gurus , I'd just tell you a formula for calculating your profit but even with that it's ROI is inconsistent so go with our percentage ranging system. Truth is, any investment from a thousand dollars and above won't earn you anything less than 10% monthly and that's a great Return on Investment (ROI) monthly. I have a pal with 15.8TH/s, that cost-ed him $2370. since 1THS = $150, but this makes him 15$+ daily, that's over $450 monthly. In fact it'll take less than 180Days (6 months) to recover your full capital and start earning profits for life. From our calculations that's over 16% monthly. This is for the bitcoin, other coins (cryptocurrencies) maybe more profitable or less but whichever coin you're mining, you won't earn below 8% of your capital monthly no matter how things get bad. Good thing is, we have a 3% discount code, so let's say you plan to invest 3000$, that's 20THs, you'll only pay about $2910 and start earning upto 20$+ daily. My advice personally is, don't miss this opportunity. The best part is, as the coin gets stronger you earn even more. Genesis Mining Limited has two major offices, one in Hong Kong and the other in Iceland. The Hong Kong office is at Chinachem Century Tower, 31/F, 178 Gloucester Road, Wanchai, Hong Kong while the Iceland branch is at Borgartuni 27, 105 Reykjavik Iceland. Both branches have some powerful hardware that validates every Genesis Mining review we see on the internet. Apart from monitoring sites, Genesis Mining Company has an advantage of being appraised on some of the most authoritative sites on finance matters. They include The Huffington Post, Business Insider Coin, The Economist, CNBC, Coindesk, International Business Times, and Bloomberg Business. Genesis-mining.com is a robust company with several mining farms. This is of utmost benefit to you as an investor because it guarantees maximum uptime, even when some centers may not be fully functional. Instead of closing down when a mining farm is no longer functional, your profits will rather be reduced until things get back to normal. This is one feature lacking in many other mining centers. Apart from bitcoins, this Genesis Mining review also indicates that you can also mine altcoins. The altcoins available in Genesis Mining include Litecoin, Dogecoin and others. We discovered that you can mine the different cryptocurrencies at once. For instance, you can start mining bitcoin, Ethereum and Monero immediately after creating your Genesis-mining account. This tells you why almost every Genesis-mining review you have come across speaks volumes about this mining company. Some Genesis mining review written in the past included Dash, Litecoin, and Zcash as some of the other cryptocurrencies offered by Genesis-mining.com, but it appears that the packages are presently out of stock. The company will probably resume its activities on these altcoins in the future. It would be inappropriate to give a full Genesis Mining review without mentioning how much the company sells its packages. One thing you should know is that the plans are not the same for the different cryptocurrencies available. To mine Bitcoin, you would need at least $30 to start with. This amount of money will give you 200 GH/s which provides an open-ended bitcoin mining project for you. The open-ended plan means that there is no specific duration for the contract. Genesis-mining.com intends to make it last forever but it appears this can be affected by some factors including mining difficulty, exchange rate between BTC and USD, and maintenance fee. These three factors also affect the daily profits distributed. There are actually no specific gains listed on any Genesis Mining review on the internet. The maintenance fee will be deducted before your daily profit gets to you. Don’t worry, it is only 0.00028 USD per GH/S every mining day. Apart from the $30 Gold plan, there are also the Platinum and Diamond plans. The Platinum plan costs $350 while the Diamond plan costs $1950 for 2,500 GH/s and 15,000 GH/s respectively. In all cases, maintenance fee applies and you aren’t sure of the duration since they are all open-ended bitcoin mining projects. The situation is quite different when it comes to a Genesis mining review for Ethereum. All Ethereum projects are fixed for 2 years and there are no maintenance fees. It has three plans like Bitcoin mining and they include the Small Plan (for $29.99), the Medium Plan (for $869), and the Large Plan (for $2799). These amounts can be purchased for 1 MH/s, 30 MH/s and 100 MH/s respectively. Just like Ethereum, Monero (XMR) has a fixed duration of 24 months and attracts no maintenance fees. The profits earned can be converted to DASH or Zcash for an easy exchange. The Monero Plans vary with the mining powers assigned. For 60 H/s, 1000 H/s or 3000 H/s, you can get them for $49.99, $819 or $2399 respectively. For every product offered by Genesis-mining.com, you can make a customized plan of it. That means that if you have something in mind that is quite different from the three stated plans in each case, you can still approach the support team with your idea. Each of the cryptocurrencies considered on Genesis Mining has its own custom plan. You can choose custom plans higher than the starters for each of them. Credit Card Payments: Genesis-mining.com accepts VISA and Master Card payments. Orders above 50 USD don’t attract any fee. And it will take up to 32 days to get the first profit. Genesis-mining.com has this in its Terms of Contract because it wants to curb credit card fraud. However i won't recommend you use this, kindly use cryptocurrency payments. Cryptocurrency Payments: Use Bitcoin, Litecoin, Dogecoin or Dash anyhow you want to. You can pay in one cryptocurrency and auto trade it for a different cryptocurrency. That is the beauty of choosing Genesis-mining. To serve their customers well, Genesis-mining.com has created a support ticket online so that queries can be submitted. If you have questions not addressed on the FAQ section, feel free to address it using the online support form. You can find it on the “customer service” page. Genesis-mining.com has a unique affiliate system. First of all, every registered member receives a promo code on his or her dashboard immediately after registering. You need to tell your friends that they will be given a 3% discount on all purchases they make with your discount code. In turn, you will get a hashpower upgrade. The upgrade you get depends on your current affiliate rank. At rank 1 (the starter tier), you will be given 2.5% of the quantity of hashpower your referral buys. That means that if they go for 10 MH/s for instance, you will get 0.25 MH/s free of charge, and this will be used to determine your next earnings. There are 8 ranks in the affiliate system. You will get to the next rank after the starter rank when you have generated $100 in successful referrals. On rank 2, you will be paid 3% of the quantity of hashpower your referral purchases. The upgrade increases up to the 8th level if you keep working hard. To participate in Genesis Mining, all you have to do is to register on Genesis-mining.com. After the registration, you can choose any of your preferred e-currency to purchase your hash power. You will then be qualified to receive daily profits and make an authentic Genesis-mining.com review just like others who have already started benefiting from the company. Register Here and apply this discount code to get 3% off on your next purchase. Genesis-mining.com is doing well. It has a structure that makes it look like it will never be classified as a scam. Even though daily payment returns are unknown at the point of participation, you can be assured that you will have profits every time. By reading one Genesis-mining.com review to another, you will come to agree that this mining company is indeed one of the best in our time. I personally will recommend you use this company and invest your funds if you care about making profits for the long-term.